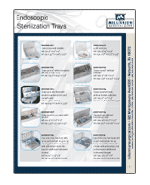 Includes maintenance procedures, diagnoses of staining, minimum exposure times, and manual decontamination instructions. 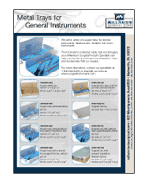 Download an 8.5"x11" poster full of Instrument Reprocessing Tips! Take a proactive stance on infection prevention. Reduce your reliance on Flash Sterilization and learn the proper way to clean an Endoscope! Read this excellent Q&A article from Healthcare Purchasing News! 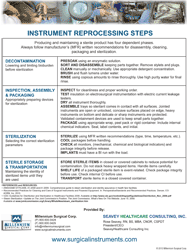 Learn how the FDA is helping face reprocessing challenges! Visit the FDA website to learn more. 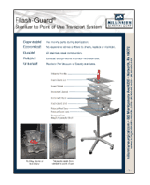 Flash Guard	Outlines the Flash Guard product line and accessories, such as handles, gloves, lids, baskets, and inserts. 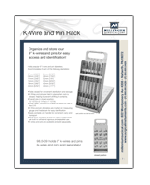 KWire and Pin Rack and Dispensers	Case holds 9" k-wires and pins. Folds closed for storage and serves as table-top stand when in use. Four-chambered and perforated dispensers. 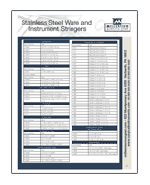 Brochure includes K-wire and pin ordering information. 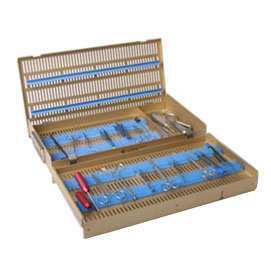 Lap Instrument Scope Tray and Rack	Lap chole inserts in a variety of sizes. 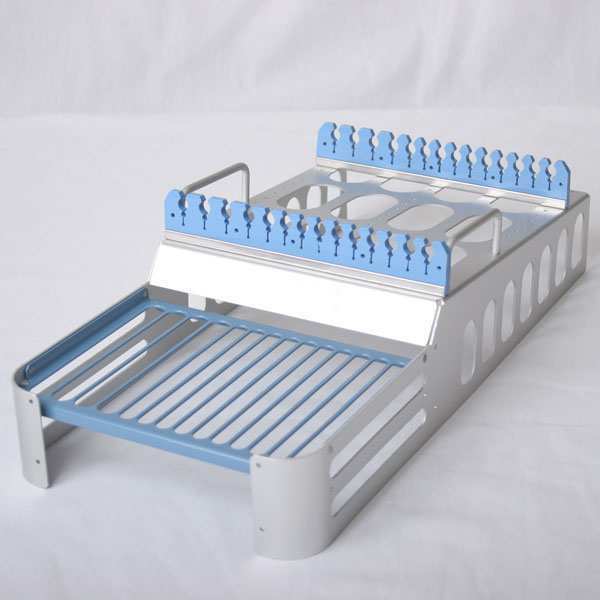 Single- and double-level, and optional pin mats for additional instrument storage. 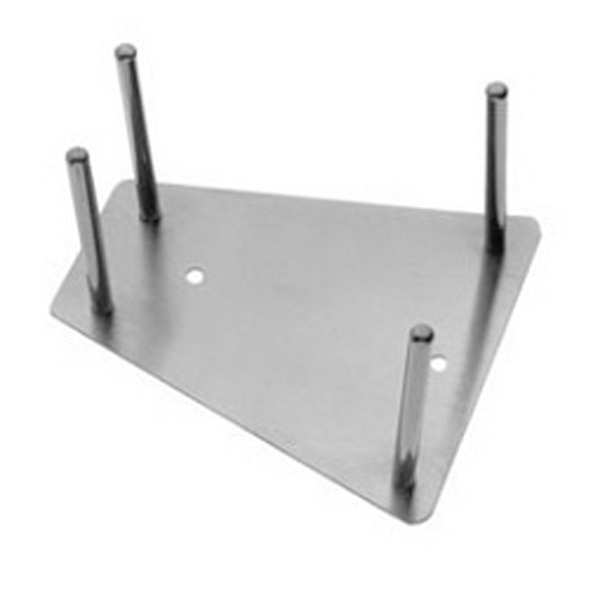 Metal Trays for General Instruments	Perforated metal trays for general instruments, scopes, cameras, lap instruments, lap chole cases, rongeurs, and osteotomes. 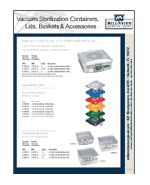 Compatible with standard cycles for steam, ETO, and TSO-3 Ozone sterilizers. 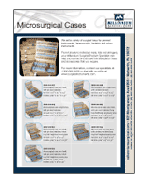 Mircosurgical Cases	Microsurgical instrument trays designed for ophthalmic, micro, and delicate instruments. Single layer and double layer. 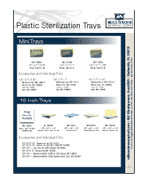 Plastic Trays	A variety of plastic sterilization trays from mini, micro and 10", to trays for phaco and diamond knives, scopes, and more. Includes accessories. 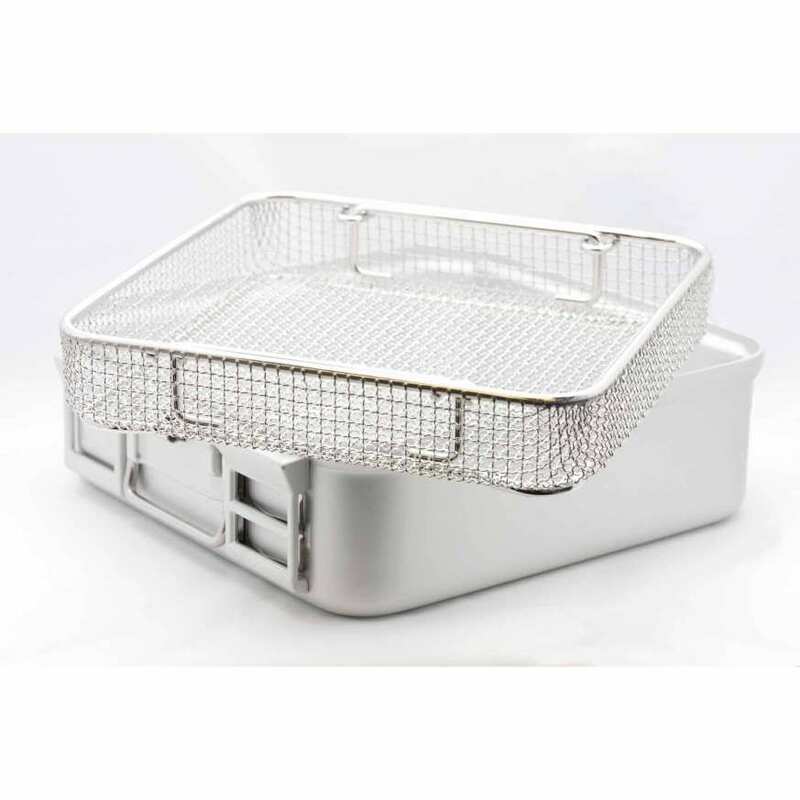 Stainless Steel Ware	Stainless steel bowls, jars, basins, trays, and more. 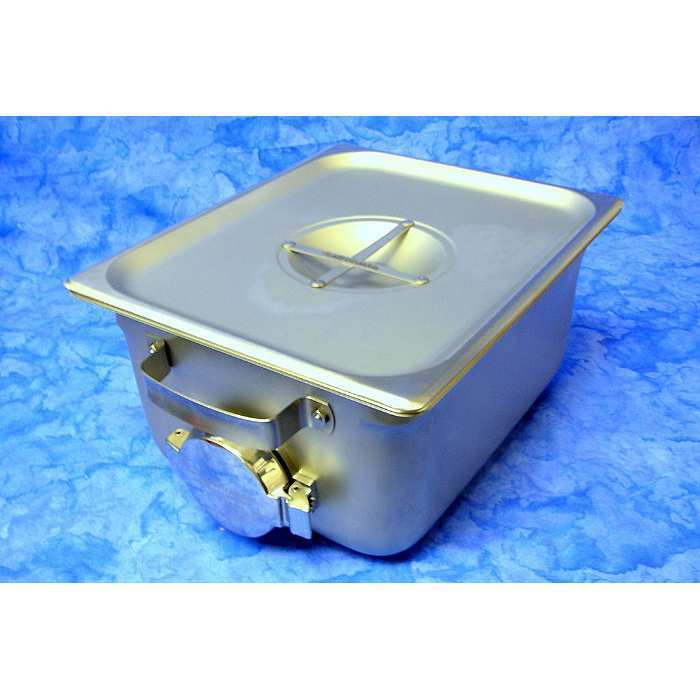 Sterilization Containers	A complete line of full- half- and three-quarter-size containers, lids, baskets, and accessories. 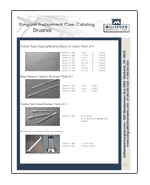 Surgical Instrument Care Catalog	Cleaning brushes, drying rack and brush holder, stringers, trays, vented instrument tip protectors. 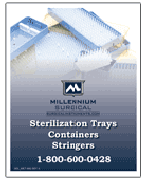 Surgical Instrument Sterilization Trays and Products	This sterilization tray brochure features our best selling containers including plastic, micro, lap chole trays, stainless steel, orthopedic racks, stringers, and pouch racks. 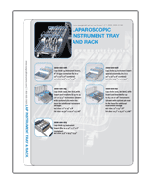 Trays for Rongeurs, Endo, Lap Chole, Osteotomes	Sterilization trays for use in reprocessing lap chole, endoscopes, rongeur forceps, and osteotomes. 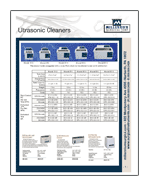 Ultrasonic Cleaners	A variety of ultrasonic cleaners, with and without covers, mechanical timers, heat, and digital control. Need an IFU? Don't see what you need?